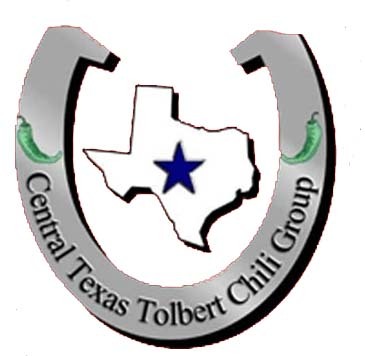 The chili year runs October 1st thu September 30th. Cooks of every kind are welcome, new cooks included! Just come on out! The nice folks at the registration table will make a fuss over you, and then the fun begins! 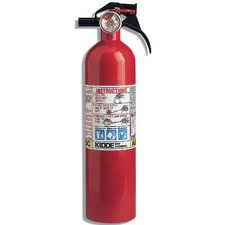 Every cooking station must have a fire extinguisher. Two cooks under one canopy can share an extinguisher. As 4/03/19 - dates confirmed, event details tbd. 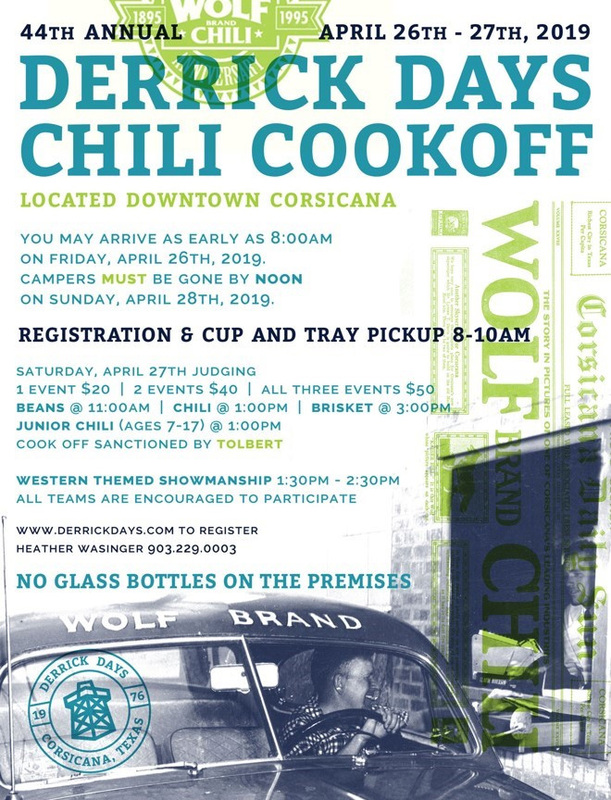 APRIL 26-27, CORSICANA - 44th Annual Derrick Days, TOLBERT. Benefits: United Way of Navarro County. Location: Downtown, 100 N. Main Street (Block square bordered by N Main, W Collin, N 12th and W 5th.) Also, Junior Chili Cookoff, Beans & BBQ. 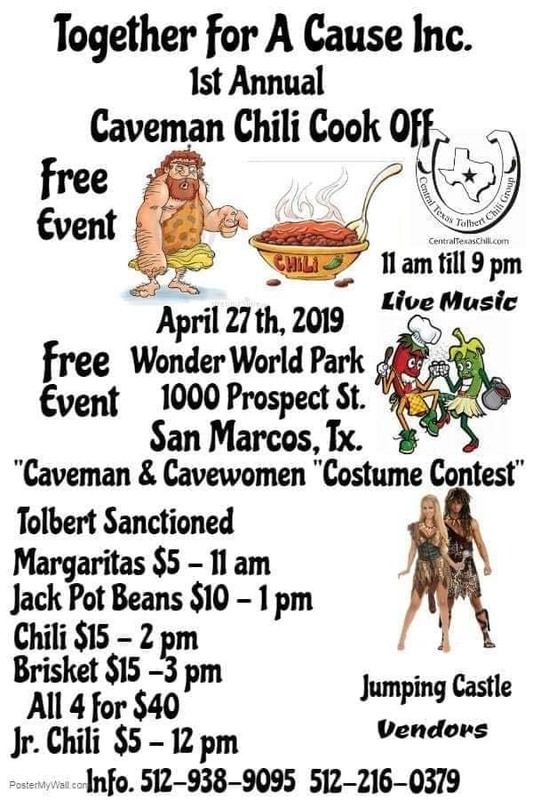 Info: For Event: Heather Wasinger - Corsicana Derrick Days 903-229-0003 or Heather.mascot10@yahoo.com or for Chili Judging: Debbie Eiland Turner 972-935-2402 or goatgpgazette@sbcglobal.net. 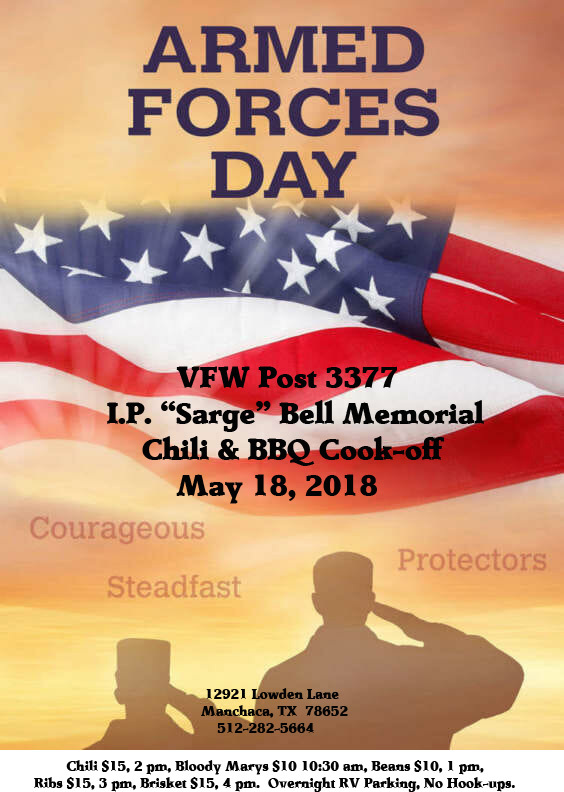 MAY 18, MANCHACA - VFW POST 3377 I.P. "Sarge" Bell Memorial Chili Cook-off. TOLBERT. 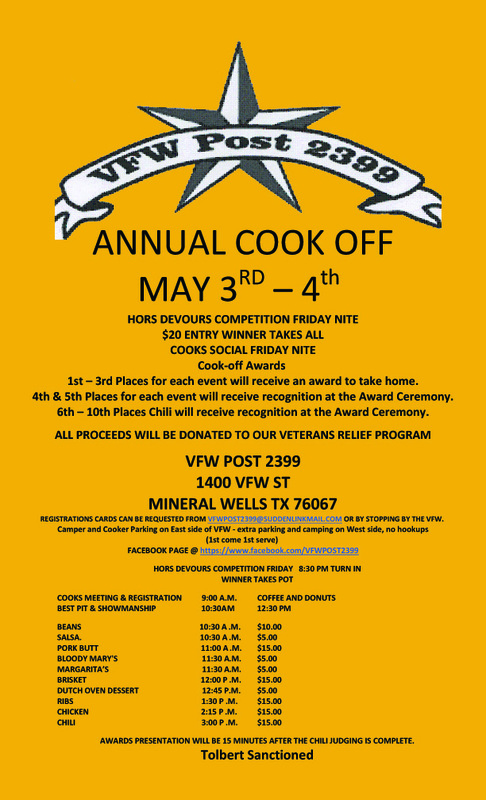 Benefits VFW Charities. Location: 12921 Lowden Lane Mnchaca, TX 78652﻿. Chili $15, 2 pm, Bloody Marys $10 10:30 am, Beans $10, 1 pm, Ribs $15, 3 pm, Brisket $15, 4 pm. Parking, No Hook-ups. 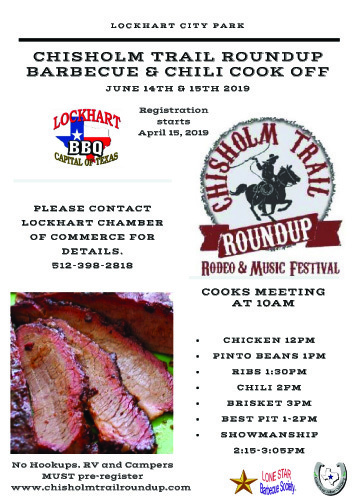 JUN 15, LOCKHART, TX - Chisholm Trail Round-up. 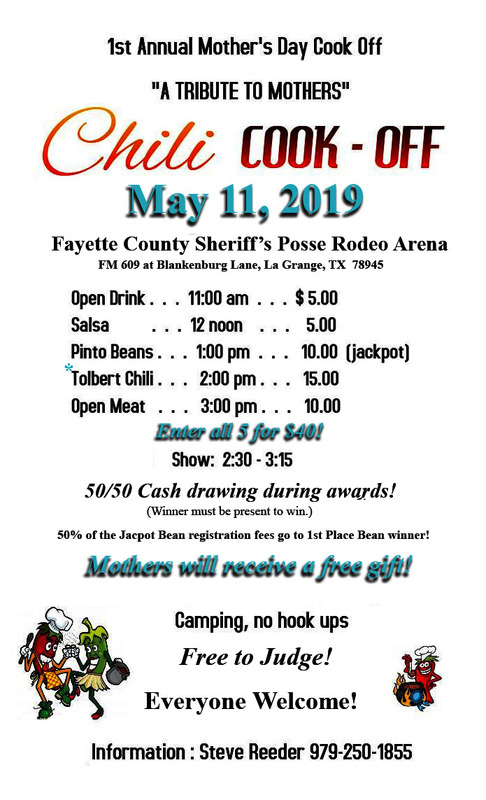 For those chili cooks wanting to bring RVs and camp, you MUST pre-register! Day cooks will be able to register on-site.